Dainese Flex Helmet Black XL . Dainese brings you the textile Laguna Seca jacket! Composite protectors in the elbows and shoulders make sure that you are as protected as you are comfortable in this jacket. Pocket for Dainese back and chest protector. 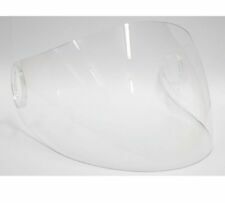 DAINESE VISIERA ERGON EVO 1 CLEAR CHIARA VISOR SHIELD CLEAR 1855588 New Ships fast and free. • Recyclable & abrasion resistant motorcycle balaclava • Bacteriostatic, hypoallergenic & anti-odour • Seamless build for enhanced comfort & wearability Friendly to the contours of your face: This motorcycle balaclava has been seamlessly built for enhanced comfort, with no seams pushing on pressure points or causing chafing. Motorcycle Balaclava Material Coolmax Gewebeeinsätze. Features ergonomic comfortable and flattering fit and high wearing comfort due to light weight.